As December draws close, Australians are excited for both things: Summer and Christmas. From barbeque parties, Christmas dinners, to family gatherings, we all look forward to celebrating it with our families and friends. However, as we may expect all the goodies this holiday season, the rising temperature that comes along this month also signifies the invasion of these nasty pests into our homes: cockroaches. Cockroach infestation goes crazy every summer, particularly in December when the temperature is at its warmest. The outbreak does not only cause a nuisance to human activities but also majorly to human health. These nasty critters are notorious for passing on terrible bacteria and diseases to humans and animals. Given with poor sanitary precautions and poor pest prevention, you, your family, and even your pets could be in serious trouble. The rising temperature that happens during summer is one of the significant causes of pest invasion. Directly speaking, the warmer the temperature is, the more food available (plants and trees on/in bloom), the more ideal it is for pests of any kind, most especially cockroaches, to thrive. Though some may think cockroaches are active all year long (honestly), they are most active during summer. Cockroaches are dirty. That alone is enough for us to keep them at bay as much as possible. Cockroaches eat garbage and walk almost on anything, and this makes them vectors of terrible bacteria and viruses that can be passed on at any time they get in contact with our food. 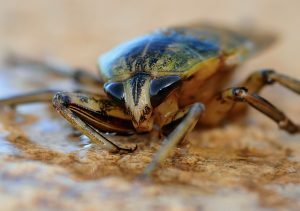 In some rare cases, cockroaches also chew on clothes, papers, and plastics, and they can multiply so rapidly if not carried out with any pest control applied at your property. Pest preventative measures that you can do! Cleanliness – Roaches stick more when the place has poor maintenance. Thus, the cleaner you keep your property, the lesser you attract these pests. Proper ventilation– Cockroaches love dark places. Always make sure to keep your area well-ventilated, well-lit, and organized at all times. Don’t let cockroaches ruin your summer and your Christmas! You deserve to enjoy the warm sunny days and the holiday season with your family, pet, and your friends. Don’t let these cockroaches steal your joy! Entrust it to our pest professionals. With years of experience, we deliver the most comprehensive ways and eco-friendly Pest Treatment Brisbane to help solve all your pest problems and keep your property pest-free all year long! Trusted Pest Management has been providing comprehensive pest control services in Sydney and Brisbane, and one of Queensland’s eco-friendliest pest service providers. We have helped hundreds of households and commercial properties be free from pests, and we can help you as well, give us a call today!